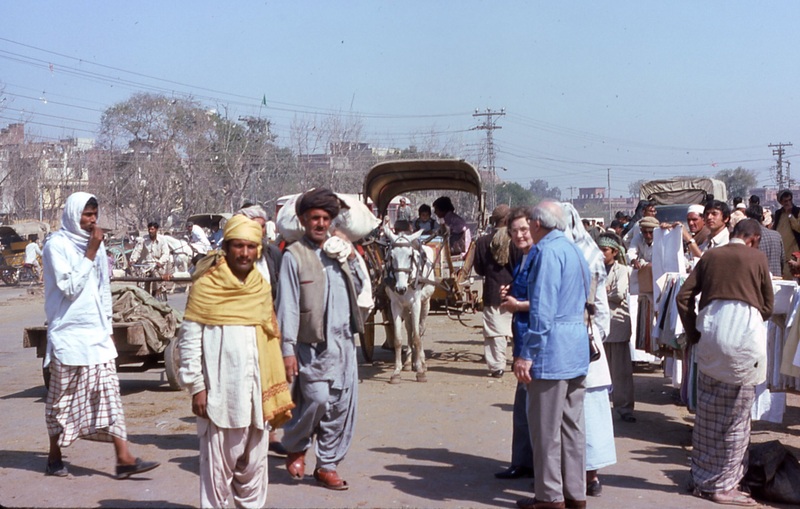 In 1975 Fulmer was awarded a contract from UNIDO for the setting up of a Metals Advisory Service in Pakistan. This project, managed by Eric Brandes for Fulmer and Kamal Hussain for UNIDO, included the provision of training and consultancy by Fulmer staff visiting Pakistan. I was there for two months in early 1976, based at Pakistan Industrial and Technical Corporation (PITAC) in Lahore. The following is extracted from letters I wrote home describing the Project Planning seminar I gave to the Lahore Chamber of Commerce. On Saturday week I give my first seminar and I’m worried about it. Although I had cleared with Eric at Christmas that they did in fact want a seminar on project planning, it soon became clear that they were interested in everything but this topic; almost all the great weight of papers lovingly prepared by Eileen [Adams] were of no use. They expect me to be an expert on all aspects of management and want me to stress production management, about which I know nothing. I went down to the local bookshop* and bought a couple of paperbacks on the subject. My seminar will be opened by the state minister for industry and I have to write his speech. Kamal took me to see the venue and this was also a bit of a worry. This could only be described as a building site. A large reinforced concrete office block is being built for the Lahore Chamber of Commerce and the only part of this that is roofed is a section of the basement. By the day of the seminar, two days later, this basement had been softened somewhat with decorations, trestle tables and chairs. This was where the seminar was held with an elaborate buffet lunch laid out in an adjoining “room” – floor: concrete – walls: concrete or absent – ceiling: concrete or, in places, sky. Preparations were organised after my own heart. Invitations were mostly telephoned the day before! Proceedings began with a recitation from the Quran. Then came a speech from the Lahore Chamber of Commerce president and then one from the head of PITAC. There was then the speech by the Minister for Industry of the Punjab (one of the four provinces of Pakistan), which I had drafted. The Minister’s entourage included a man dressed like Bob Hope in certain sequences of Road to Morocco – long white nightshirt and fez. This character, who was about 6′ 3″ tall and somewhat less in girth, carried a machine gun. He looked like the kind of personal bodyguard with whom it would be unwise to be too personal. After all this speechifying we had tea. The minister seemed to be a very interesting and alert man; I guessed his age at about 32! After tea the minister and his entourage left and I gave the seminar, which went surprisingly well apart from one extremely vociferous interjection from a passing donkey (the mode of transport most favoured in this kind of building operation here). I didn’t see it but I understand I was on television in several news reports in the evening. *Ferrosan’s in The Mall. Wonderfully comprehensive with all subjects, fact and fiction, seemingly randomly arranged on the shelves – good for serendipity but frustrating when you’re in a hurry.